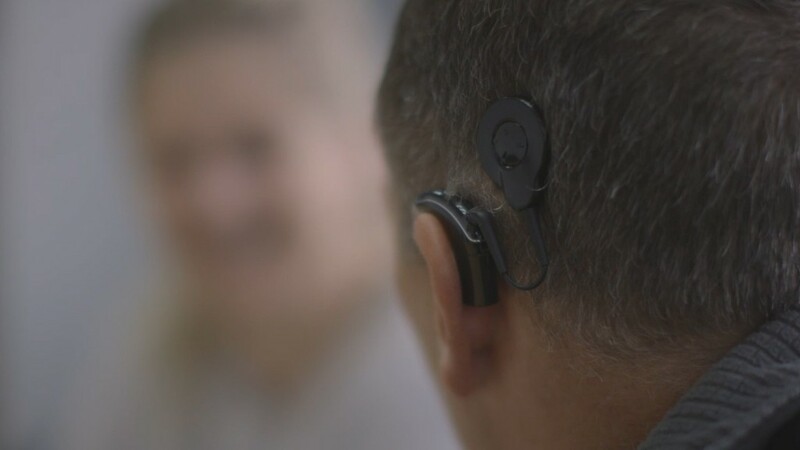 People with hearing implants will soon be able to stream music and take phone calls wirelessly from Apple devices. Apple is teaming up with medical device maker Cochlear Limited to develop the first-ever cochlear implant sound processor that allows users to stream sound right from their iPhone, iPad and iPod touch. The Cochlear Nucleus 7 device, which was announced on Wednesday, received FDA approval in June. In recent years, Apple has worked with other medical device makers like GN ReSound to create iOS-compatible hearing aids. There are now more than 50 hearing aids that work with iPhones. For many, there is still a stigma surrounding hearing aids. But the high-tech versions intend to reduce some of that stress because users can discreetly make device adjustments using their phone as if they were checking an email or sending a text. There are 360 million people with disabling hearing loss worldwide -- and 32 million of whom are children, according to the World Health Organization. Hearing aids and cochlear implants are quite different. Cochlear implants are for those with severe and profound hearing loss and used when hearing aids are not sufficient. Hearing aids amplify sound, while a cochlear implant stimulates the hearing nerve directly. It has an internal component that's surgically inserted under the skin behind the ear. The external part looks similar to a traditional hearing aid. 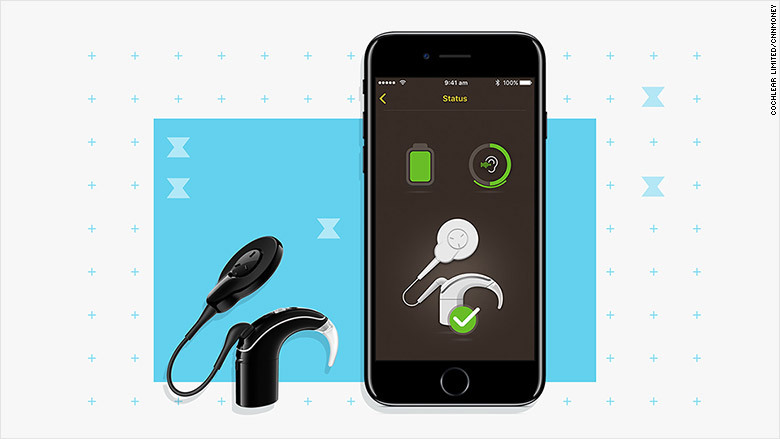 The new Cochlear Nucleus 7 pairs with iOS devices using a combination of Bluetooth and a proprietary Apple protocol, which the tech giant previously created for hearing aids. Simple commands, such as changing the hearing device's volume or checking battery status, can be done through iOS without a separate app. More advanced functions, like finding a cochlear implant if it gets lost, are accessed via Cochlear's app. Previously, phones could interfere with hearing devices and cause high-pitched noises for the person using it. Streaming music was also difficult because users had to wear an earphone and hearing aid at the same time. The only solutions were bulky third-party devices. The new device is expected to launch in the United States and Canada in September. The cost of the device has not yet been announced.